Lee Joon-gi was born in Busan, South Korea. He has a younger brother. In several interviews, he has said that he enjoyed sports and computers growing up. This is the reason why his body is always in a good shape. In this article, Channel-Korea will present you with the knowledge of how Lee Joon-gi maintains his body built! Lee Joon-gi is also famous for his talent in several martial arts and sports. He has taken up Brazilian Jiu-jitsu, which is a martial art as well as a combat sports system. His Brazilian Jiu-jitsu belt was upgraded recently. It is believed that he is preparing himself for some scenes in his upcoming drama, but plot details are shrouded in secrecy. Brazilian Jiu-jitsu was created by adapting Judo and borrowing from Kodakan Judo ground fighting fundamentals. Its greater emphasis on ground fighting is what differentiates it from other martial arts. Other grappling martial arts tend to spend much more time on the standing phase. 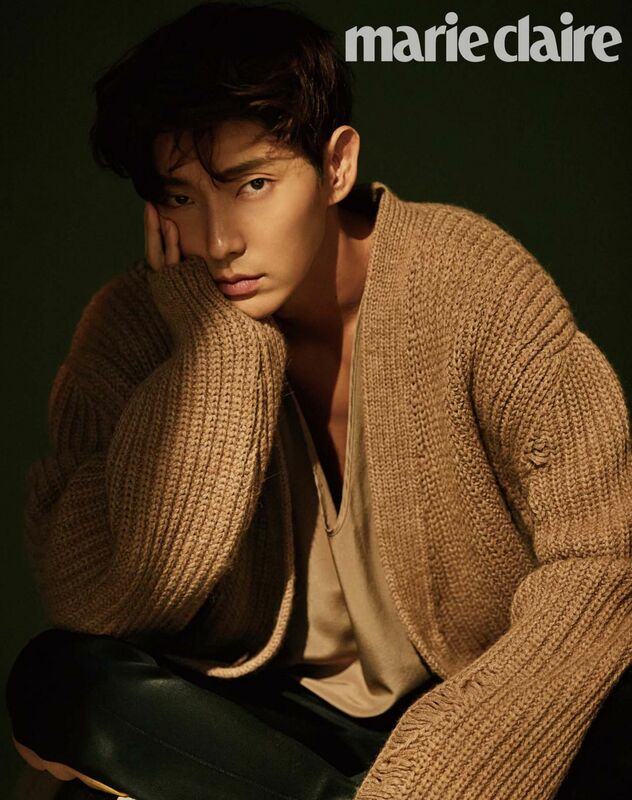 Being athletic and sporty, Lee Joon-gi also has other martial arts achievements: 4th Dan Taekwondo black belt, 1st Dan Hapkido black belt and 1st Dan Taekyeon black belt. He also learned Systema, Russian martial art, for Criminal Minds in 2017. In the same drama, he also showcased his Parkour skills. In one of his interviews with Harper’s Bazaar, he revealed his knowledge of Wing Chun, a Chinese art of self-defense. He had also learned Thai Kick Boxing for his drama, Time Between Dog And Wolf. Besides that, he is also famous for his expert gun and horse riding skills, which he has showcased in many of his dramas. He even showed his flexibility on his personal Instagram account. Many action directors, action choreographers, and co-stars have plenty of praise for Lee Joon-gi’s extraordinary action performance. He is seen as an actor who is a stunt expert who does all his own stunts. He has also been voted as South Korea’s ‘Top Action Star’ and ‘Unbeatable Action Star.’ Even Milla Jovovich had gushed over his amazing martial arts skills in all her interviews for their movie, Resident Evil: The Last Chapter. Lee Joon-gi Lost 33 lbs for a Drama? Now that everyone has watched the teaser trailers and motion posters of Lee Joon-gi’s Korean drama, Moon Lovers: Scarlet Heart Ryeo, they must have been pleasantly surprised by Lee Joon-gi’s discernible weight loss. Perhaps, the viewers, almost without exception, would one dare say, must be astounded with his stunning looks. Preposterous as it may sound, they may have already felt the gravitational pull of The Moon. 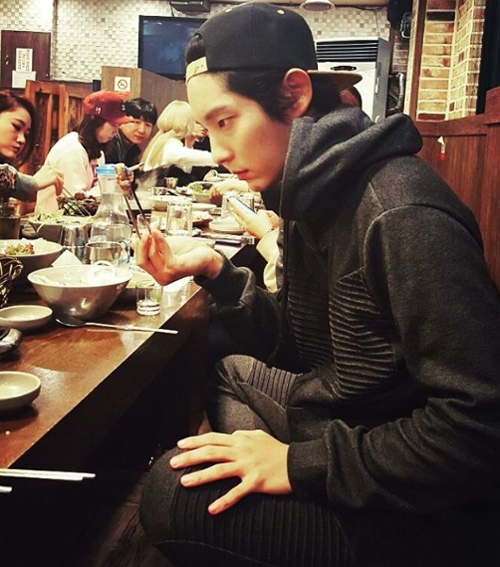 However, Lee Joon-gi has never made it a secret that he has been dieting. Most of his fans know because Lee has always unabashedly allowed them to peek into most parts of his life, including the food he eats, his preferred fashion accessories, the various types of exercises that he does, his holiday trips, his staff, his favorite colors and so on. The director of Moon Lovers: Scarlet Heart Ryeo had advised him to lose weight so that he could effectively project the image of a hurt and hungry animal, probably that of a wolfdog. Lee Joo-gi, in the May issue of the Geek magazine, divulged that his character, Wang So, had given him ‘the feeling of an abandoned beast.’ He must have likened himself to a wild and high-content wolfdog which had been left high and dry by its parents. It seems that Wang So’s royal parents had shipped him off to be adopted by another family but he ended up being a hostage. Due to certain unfortunate circumstances, Wang So ended up looking beastly thin. He had actually forewarned his fans that he was going on a diet by first posting pictures of himself wondering whether he should eat or not on his Instagram account. He gradually eased them into the idea that he was reducing his weight by updating pictures of his weight loss, but no one was prepared for his physical transformation. In an interview at a press event in China for his Chinese movie, Never Said Goodbye, he made no secret of the fact that he had lost altogether 15 kilos or 33 lbs for his Korean drama Moon Lovers: Scarlet Heart Ryeo. In fact, at the beginning of the year, he had already revealed through his V channel (JG V Live) talk with fans that he had to lose 8 kilos within four weeks, and he also happily disclosed that he had already achieved his goal. To eat or not to eat, that will always be the question on one’s mind especially if one is a ‘star.’ There is a screwed up relationship between K-stars and food. Many young Korean stars fall prey to their obsession with body perfection. According to the grapevine, some have succumbed to figure neurosis and resort to eating only ‘one glassful of salad’ per day. He did – by first losing weight. Losing weight is a game changer. Being the consummate, intense, sterling and passionate actor that he is, Lee Joon-gi quickly complied with the director’s request. That is not to say that Lee himself had not thought about it earlier. He must have also been desirous of changing his image – to give Wang So a fresh aura and oomph. Perhaps in Lee’s mind, being body perfect for the part of Wang So, the Fourth Prince, he would be judged more positively and be embraced more enthusiastically by his audience. Lee went on a strict diet and maintained his weight for the rest of the filming duration. One has to remember Lee is 5 foot 10. His weight seemed ideal before he started his diet. Did he have any flab to beat in the first place? Fans do not think so. He admitted with startling alacrity during his JG V live interaction session with his fans that he hardly ate and he had to exercise daily. His diet plan was too drastic, but probably after that, he made sure he had his slimming strategies down pat. He ate food, but carbohydrates were probably taboo on his list. It must have been quite a trying time for him to reshape and hone his body. It was with discipline and perseverance that he made it. However, he was determined, above all, that his health would always be his priority. He did different exercises to complement his weight loss. The results are dramatic and striking. He even has toned muscles to flaunt and he does not need reassurance about his new appearance. He is convinced that his fans like it as much as he does. He also commented about his diet in an interview for Marie Claire Korea. He also admits that it isn’t easy to lose the weight, but he is maintaining it with willpower and persistence. The representative from his agency said that when Lee Joon-gi wants to do something, he won’t rest until he reaches his goal. When he heard that tofu will help him in losing weight, he decided to eat only tofu for his three daily meals. Furthermore, he has fitness training. So he regained back his original weight. During his dieting days, his refrigerator only had various types of tofu food and nothing else. Besides the tofu for his meals, he also had to learn horse-riding, martial arts, and various other skills to prepare for his character. His character in the drama has a very strong personality. Even though it is also a period drama, he will let the user view a totally different image compared to The King and Clown. Iljimae will start filming at the beginning of next year and is scheduled to broadcast after The King and I has ended, in April.